Any person engaged in a trade or business, including a corporation, partnership, individual, estate, and trust, who makes reportable transactions during the calendar year, must file information returns to report those transactions to the IRS. Persons required to file information returns to the IRS must also furnish statements to the other party to the transaction, such as recipients of income. W-8 series includes certificates proving the foreign status of the beneficial owner of property for U.S. tax withholding and reporting. Use this form to calculate the tax on a qualified lump-sum distribution using the 20% capital gains election, the 10-year tax option, or both. All individuals who conduct business in the form of a corporation, estate, partnership or trust and report on all transactions on an annual basis are required to fill out information returns to inform the IRS about these financial operations. These returns are to be directed to all other involved parties. All applicants who have more than 250 returns can submit them electronically. Internal Revenue Code mandates all requirements concerning the informational tax return. There are different types of the returns. We will investigate general, education, health insurance, transfers of stock and retirement reporting. General reporting includes such points to account for: mortgage interest, data about an acquisition, cancellation of a debt, distributions, interest income, third party network operations, royalties, rents, etc. 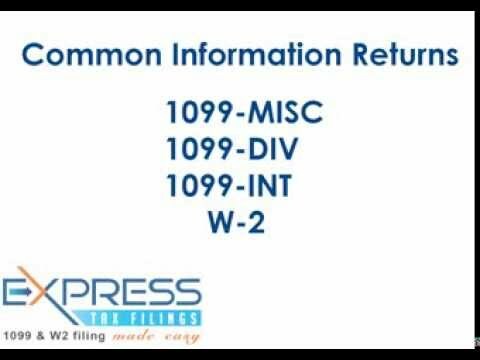 The required forms are: 1098, 1099-MISC, 1099-A, 1099-B, 1099-DIV, 1099-C, 1099-K, 1099-INT, and 1099-S.
Education returns include such issues as student loan interest, qualified tuition and related expenses or refunds, payments from qualified tuition programs, rollover contributions, etc. Federal tax return information form list is: 1098-E, 1098-T, 1099-Q, and 5498-ESA. The health insurance part consists of premiums, payments under long-term care insurance, HSA, Archer MSA, or Medicare Advantage MSA distributions, and so on. Such forms are needed: 1099-H, 1099-SA, 1099-LTC, 1094-C, and 1095-B. The transfer of stock section has two forms to submit: 3921 and 3922. An applicant has to file a retirement information return to inform about distributions from retirement or profit-sharing plans. Make use of Forms 1099-R and 5498.